After decoding my latest diversion from the pattern, a good friend smiled and told me that fixing knitting is just puzzling out where the yarn was supposed to go. It certainly was a puzzle for me. Unfortunately my friend lives too far away to help very often. So she suggested that I look into finding a local group of knitters. It will make the knitting fun and the experienced people may get me out of that dropped stitch jam so I can continue knitting – far better than sighing, putting it away in a bag, and hiding it until I get up the nerve to take the whole mess back to my instructor. Joining groups of people I do not know is not a normal activity for me. But, I paused, took a nice slow breath, found a group through Ravelry, and responded to a thread on the group, asking if I could come. The next day I joined a Gang of Knitters. My friend was right. Over time, I have become familiar with several members and have received far more help than I ever expected. 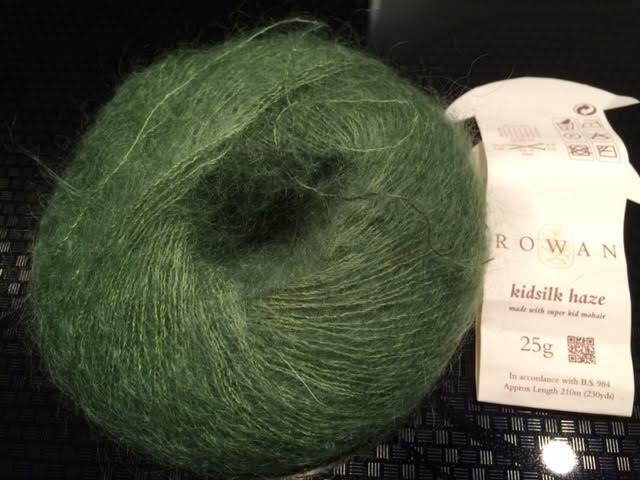 These lovely women are why I was able to finish my Sampler Scarf, why I headed straight onto the Shibui Shawl instead of just knitting another scarf, and why I am learning to handle the lace weight mohair (in the picture). Knitting started to become fun and rather satisfying. It’s still not yet a relaxing activity – I make far too many errors … wait, I mean that when I relax too much, I make far too many creative embellishments. Yes, that is a far less stressful way to view the issue. I always have been very creative and sometimes I get very “creative”. All I need to learn is how to puzzle out what I have done. Knitting and purling (with some tinking) while talking to new friends was just what this newbie knitter needed to gain confidence. I can do this thing. If you are on Ravelry and want to be friends, here I am! What are you knitting today? Do you knit with a gang? Do you pause, breathe, and slow down a bit before picking up the needles? This entry was posted in Musing and tagged knit gang, knitting, learning. Bookmark the permalink.